You worked hard to remove that carpet stain, but the odor still remains. 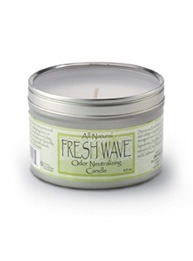 No need to pull it up ñ remove the odor quickly and easily with Fresh Wave Carpet Shake. 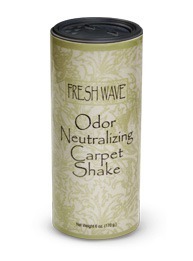 The newest way to neutralize odor embedded deep in the pile, Carpet Shake is available in a 6 oz. size. 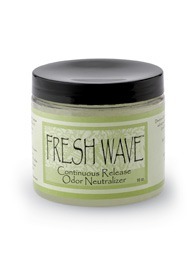 To use, simply shake on dry odor spot, brush in, wait 10 minutes and vacuum up. 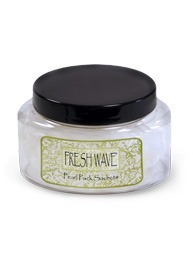 Carpet Shake can also be used on upholstered furniture and car interiors.